Having been established for 10 years, we have a good number of Vet affairs holders that we look after. If you too hold a Gold or White DVA Card we will bulk bill Medicare and The Department of Veterans’ Affairs for your dental treatment directly. This means no private extra cost or surcharges will be incurred by you. There are some limitations on treatment that can be performed without prior consent to the government and we will explain this process as and when it is necessary (if indeed it is). Dental implants for example require an application to be submitted for approval, dentures, repairs, extractions and fillings are fine. Any routine cleaning and prevention is also fully covered. Crown and bridgework has restrictions on the amount that can be performed and financial approval for these items must be obtained before treatment is started. What is The Department of Veterans’ Affairs (DVA)? This is a government initiative that provides a range of benefits and services to veterans and their dependants. 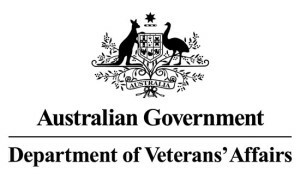 Eligibility for DVA benefits depends on when and where the veteran served in the Australian Defence Force. Occasionally referral to a specialist is required, no approval is necessary for this unless it is for orthodontic and prosthodontic specialists. It is important however that the dental specialist will accept DVA treatment arrangements and dental specialists’ fees.